This stunning spectacular 5 star renovated duplex penthouse by renowned architects Gordon Kahn associates has four bedrooms and four and a half baths with sweeping direct views of Central Park, the NYC skyline, the Hudson River, the East River as well as the Long Island sound. As you enter the approx. 3,815 sq. ft. apartment through a grand foyer complete with powder room you are awestruck by the unparalleled views from your 50 ft. living room lined with floor to ceiling windows that overlook the Park. The open concept design includes a formal dining area and two separate gourmet kitchens with Gaggenau and Miele appliances including a wine refrigerator and a coffee machine that lends itself for grand scale entertaining. The countertops are Calacutta Gold and can serve as a bar or extra prep space. 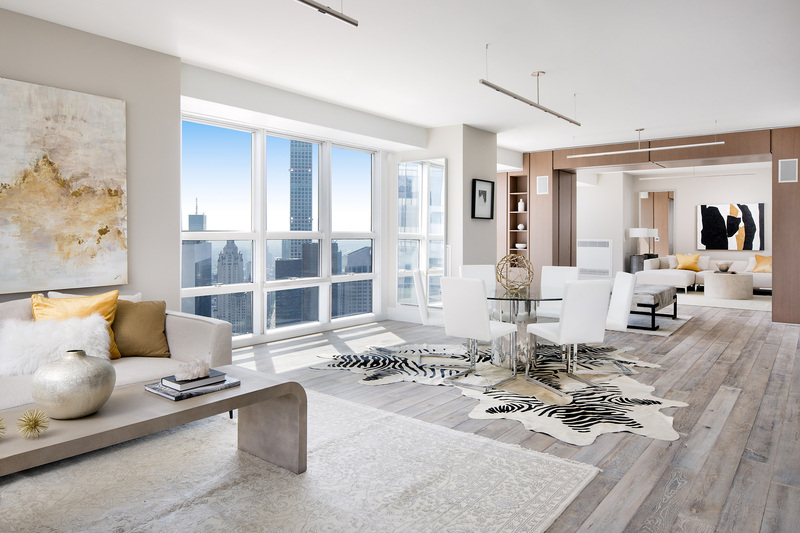 Completing the 77th floor is a family room or guest suite with its own ensuite Waterworks bathroom that overlooks the NYC Skyline. Throughout the apartment there are Luxurious Russian White hardwood Floors. 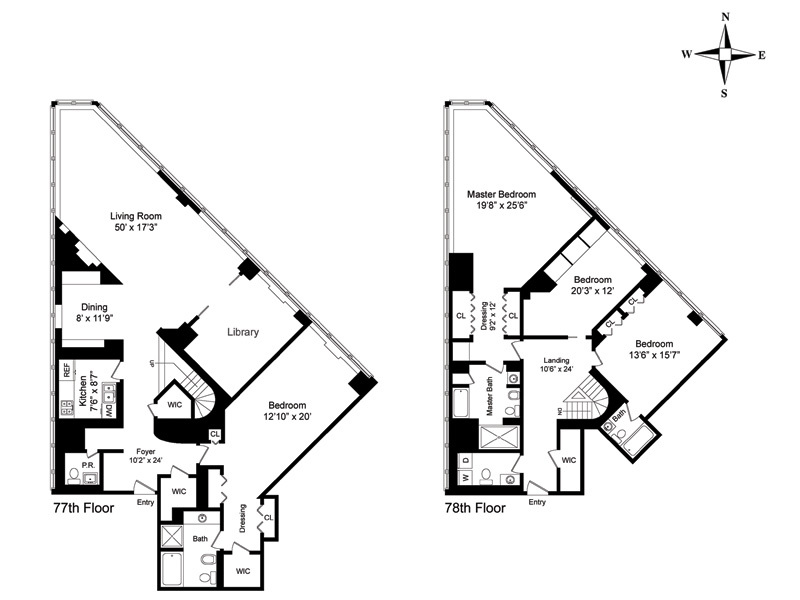 The 78th floor with lofty 12 ft. ceilings has three bedrooms, three and a half bathrooms and a laundry room. Wake up to the sweeping Central Park, Hudson and East River views from your master suite with floor to ceiling window throughout. The master bedroom contains a massive walk in closet complete with dressing room and a Waterworks spa bathroom with a free standing soaking tub. The other 2 bedrooms are bright and airy with spectacular views. Dubbed "Billionaire's Row", West 57th Street is arguable NYC's most prestigious street. The residents only Club Metropolitan Restaurant features complimentary breakfast, wine tastings and seasonal events for homeowners. The Club features a dining terrace and a private dining room available on reserve as well as room service for breakfast lunch and dinner. Other amenities include a fitness center, Concierge and Onsite Parking. Click here for a video of this amazing property.